These are just two examples but the feel is similar throughout, although not all the poetry is sweet and light. My favorite in the set are those by Jay Leeming, who reminds me a tiny bit of Billy Collins but is still a unique voice on his own. His "Rowboat" is elegant and "Supermarket Historians" begins sweetly but ends with a bitter twist. The always-aware Chris Abani concludes the anthology with "Say Something about Child's Play" that will make you tremble. 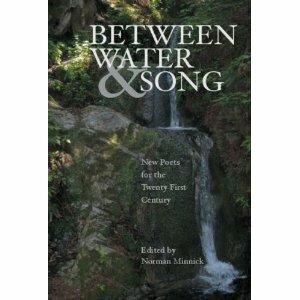 Besides being a great read on its own, this would also be great to give a poetry lover looking for new voices. Special thanks to White Pine Press for the Advanced Review Copy. Oh!It written so well.I would like to read it.